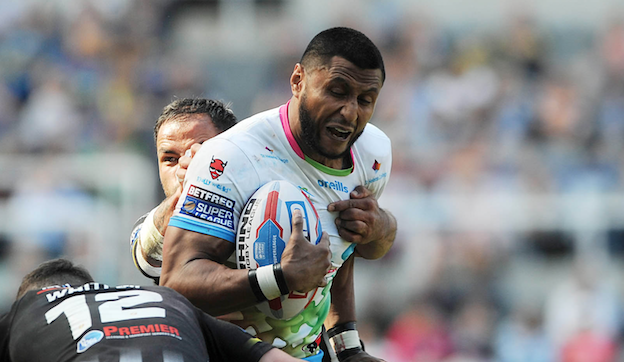 Dom Peyroux has signed a new two-year deal with St Helens. The 29-year-old has played 72 games for the club since making his debut back in 2016. Peyroux, who has made 41 NRL appearances with Gold Coast Titans and New Zealand Warriors, is delighted to extend his stay at Saints. He said: “I’m blessed to re-sign with the club. “It has been a very exciting year so far but we know there is still work to do. Saints coach Justin Holbrook is a big fan of Peyroux and is glad the club have tied him down to a new deal. He said: “It was great for us to keep Dom. “When he was out of the side, everyone realised just how valuable a player he was to the team. He gets through a lot of work that people don’t see. “He is an aggressive player with lots of energy who gives us real strike on the edges. He has worked really hard in pre-season and throughout the year to become a player we all love having on the field.